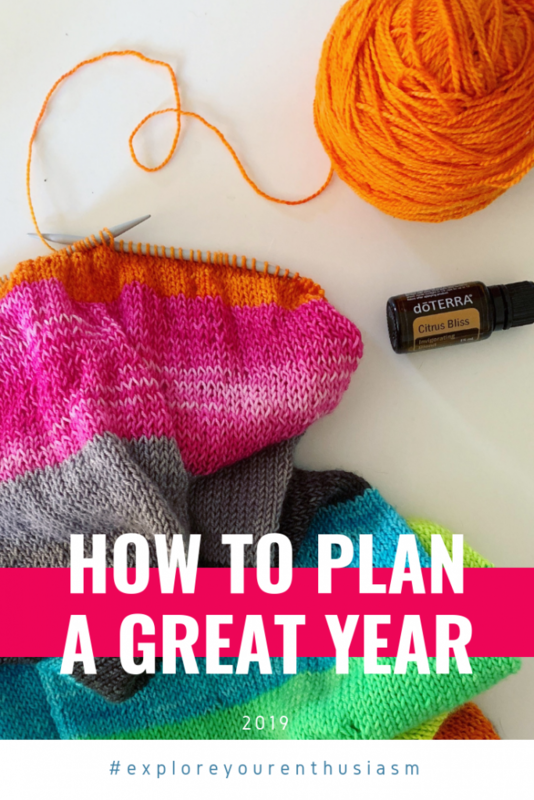 This is the time of year when everyone is thinking about their plans and goals and what they want to create…and with that comes a big dose of self-doubt. 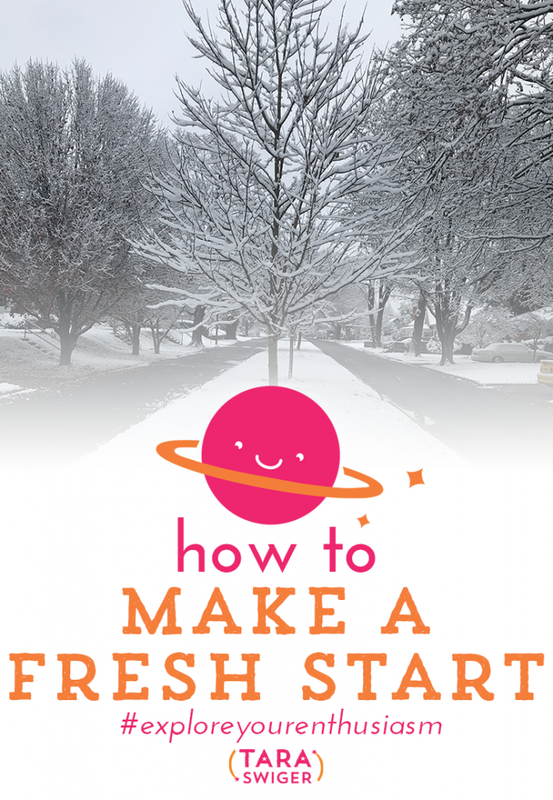 Today – how to start FRESH – how to move forward on your goal no matter what happened last year. Loving this episode of #ExploreYourEnthusiasm, all about starting the new year with fresh goals. 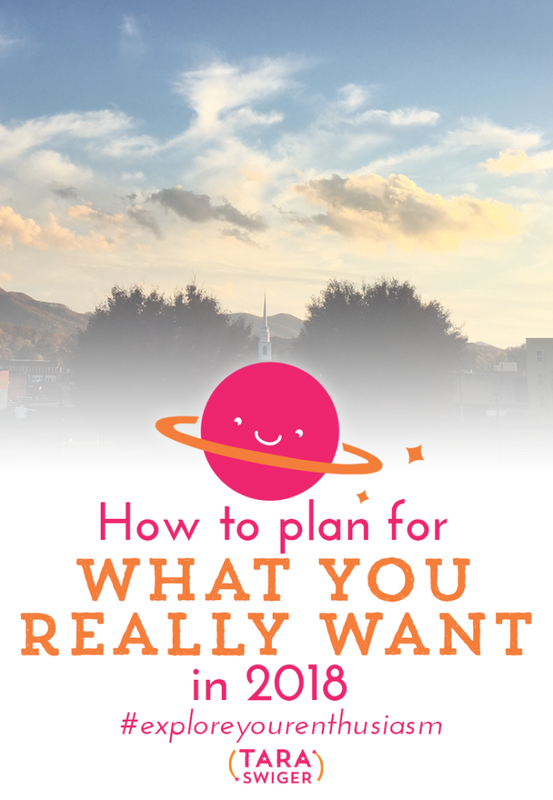 New Years resolutions are always tricky, so in this episode we'll be talking about how to plan for what you really (like, REALLY, REALLY) want out of the new year. I am getting super excited about the end of the year. I love using the next few weeks as an opportunity to hit pause on everything for a minute (remember, you have permission to take time off) and look at what happened in this last year, and what I want to happen in 2015. 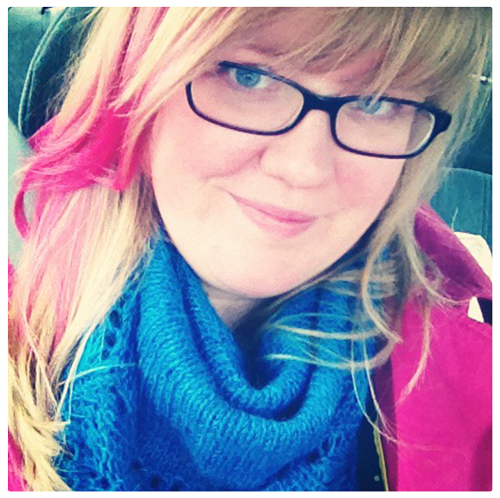 Over the next few weeks, I'll be sharing the biggest lessons of 2014 via email, so (in the last blog post of the year!) I want to talk about how to make 2015 awesome – how to be sure that next year at this time, you're going to feel great about what unfolded. The key to having your best year (every year) is to keep your focus on what you really want. As I'm always reminding you, you can build your business to be whatever you want – you get to define your own success. But that's not where it ends. After you define success for yourself, you have to boil it down to what that will look like – the specifics of it – and start taking action to actually getting it. Action that is directly going to impact your goal. Review the last year first. List what worked and what didn't. Celebrate your successes and ask yourself: What actions made that happen? Let go of what didn't work. (In Chart Your Stars, which you'll get in both Lift Off + the Starship, the most popular activity we do is releasing the regrets of last year- forgiving yourself and choosing to move on is powerful.) Enumerate the lessons you've learned (I'm sharing my lessons next week, via email). Make a list of what lessons you want to bring with you into the New Year. Everyone wants more sales or more money or “growth.” What does that look like in your specific business? This is where you're going to take what you learned while reviewing your year, and build on it. If you made 50 sales last year and you want to grow – how many sales do you want to make this year? If you want to write a book, how you will you do it (self-publish? book proposal to traditional publisher? something else)? Why do you want this? For things you truly want, you can usually answer this question swiftly, with multiple answers. Knowing your why will keep you motivated, even when things get hard. It will inspire in you another way of fulfilling that deeper desire, when a goal doesn't work out. For example, you want to make more money because you want your business to be profitable, because you want it to….pay some bills? Allow you to go to a movie? Contribute to your dream house? How else could you get that? 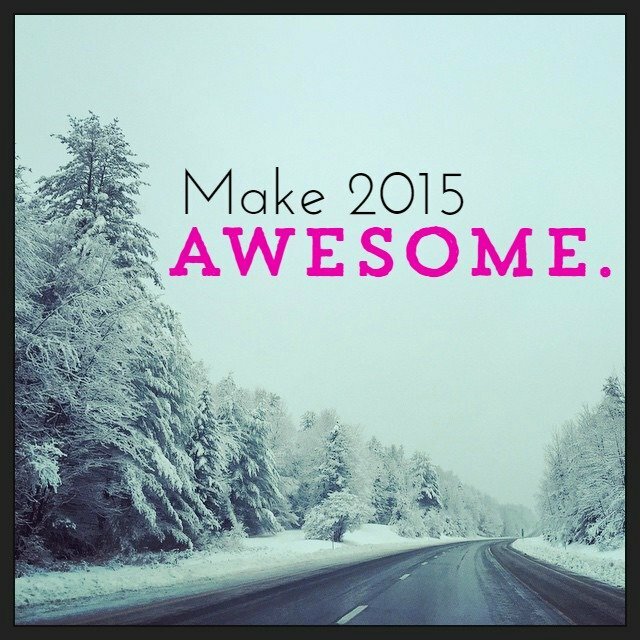 If you listed 500 things you wanted to do in 2015 – that's fine! But in order to make progress on any of them, you're going to need to pick one or two to really focus on in the next three months. You can start anywhere – I always tell explorers to pick the thing they are most enthusiastic about, no matter how crazy it might seem. After you choose a destination for your next quarter, you'll break it down into individual steps, so that you can take an action every day to get closer to your goal. (We do this step by step in the Map Making Guide – which is free in Lift Off and the Starship). You may find, as you go through this process, that what you thought you wanted actually…isn't. Maybe you'll come up with an easier or more obvious way of reaching your definition of success. Maybe you'll realize that you don't have any reasons, and you're only doing this because you think you “should.” No matter what the results are, be encouraged and keep going until you have some goals and ideas you are truly enthusiastic about! If you'd like to do all of the above in a guided workshop, surrounded by a community of encouragers – beam aboard the Starship! It is now open to new members!